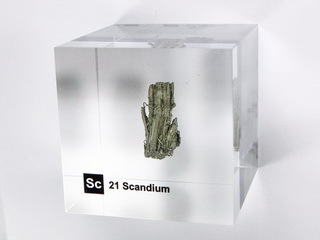 Scandium was discovered in 1879 by L.F. Nilson and takes its name from the Latin word "Scandia", meaning "Scandinavia". 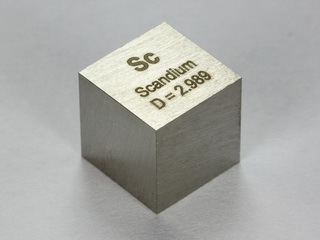 Scandium is a soft, silvery white metal. 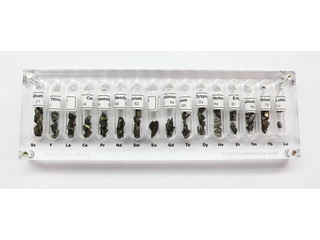 It has been identified in several minerals, including cerite, orthite, thertveitite, wolframite and euxenite (a niobate, tantalate and titanate of several rare elements in which scandium was originally discovered). 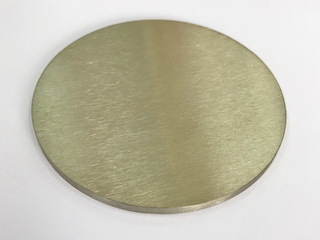 It is a metal which tarnishes in air (shows a pink coloration), burns easily and reacts with water to produce hydrogen gas. 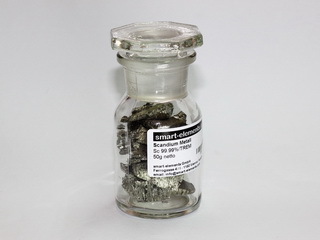 Applications for scandium have not yet been fully investigated and its use is limited primarily to research. 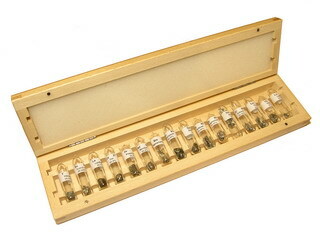 50g Scandium metal pieces 99,99% under argon!